Feng shui crystals play a significant role in the feng shui system for inviting positive energy, peace, and comfort into your home or workplace. However, before you rush out to buy crystals, it is important that you know how to use them. Also, think that different kinds of crystals have different purposes. Each type of crystal used for feng shui purposes can achieve different results. For this reason, you should choose your crystals carefully. Use these five feng shui crystal tips to increase positive vibes in your home or office. When you want to increase the love in your home or office or you want to start a new romantic relationship, you could achieve your desired results with heart-shaped rose quartz. 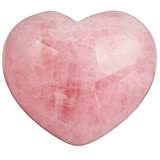 Rose quartz hearts placed in the southwest area of your home or work space is said to promote happy energy and love. It also helps you start romantic relationships or improve the relationships you have already with your significant other and family. To better your chances for love and romance, you should keep the rose quartz crystals in a prominent area in the southwest corner of your home or office. Place them on a bookshelf, for example, or in a bowl on a table. This way, that positive energy will flow better in your home or workplace. As a parent, you may grow frustrated watching your children struggle with homework or studying. They may be too antsy to settle down to read or become distracted when you try to help them with their school work. 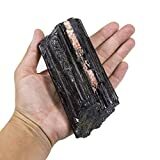 When nothing you have tried has worked in getting your children to settle down and focus, you could use the feng shui crystal called hematite. 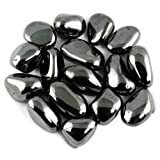 Hematite is a glossy black crystal and is said to promote focus and calm in a person’s home or office. When used for feng shui purposes, it could help keep your children centered and grounded so that they can concentrate on their homework and stay calm while they finish their lessons. You also can use this crystal at work if you frequently become distracted or anxious. Hematite is also said to have protective qualities that help maintain positive energy in your home or office. When you want to use feng shui crystals to protect your home, you may wonder what varieties to choose for this purpose. According to the feng shui system, crystals like hematite, obsidian, and black tourmaline are the best ones to use in your home. These healing items have protective qualities for your home. They also are pretty to look at. Moreover, feng shui crystals can add a positive aesthetic value to the room in which they are placed. As with rose quartz, however, it is important to place these crystals in the best direction. Consider your personal feng shui compass and Kua number. If you place them in a bad luck direction, you could invite the wrong energy into your home. You should check the compass. This way, you will find out what directions best correlate with protection as well as health, wealth, and love before placing these crystals in your home. After a traumatic event or a period of intense worry and stress, you may consider using feng shui crystals. They cleanse these emotions from your home or workplace. The crystals blue kyanite and citrine are said to promote positive energy. They can be used for cleansing negativity from the room or building in which they are placed. These feng shui crystals specifically promote stress relief and relaxation. They also are believed to attract wealth, strengthen healing, and invite positive energy to your home or office. These crystals also are aesthetically pleasing in their color and appearance. 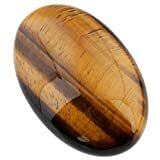 They can be used with other feng shui crystals like tiger’s eye, carnelian, red agate, and jasper to increase and maintain positive energy throughout your home or office. It is important that you place feng shui crystals into any new home into which you or your loved ones are moving. If you want to bring along your feng shui crystals to your new home, you should first clean them. If you do this, they will reset their positive vibrations and invite good energy into your new residence. To clean your feng shui crystals, you should not submerse them in soapy water. Rather, you should rub them with salt or use pure water to clean them. Cleansing your crystals is important for showing them the proper level of respect and care. It also allows the crystals to reset their positive qualities. When you move into your new home or give feng shui crystals as a housewarming gift, it is also important that you put them in a prominent room. Choose the living or dining room or the main entryway. The feng shui system can help you create a home or office space that is peaceful and comfortable as well as full of positive energy. Along with decorating and designing your home or workplace to increase the flow of positive energy, you also can promote positivism by using feng shui crystals. The various crystals used for feng shui purposes can all achieve different results. Some are perfect for inviting romance and love into your life while others offer protection, calmness, and focus. It is important that you research the various feng shui crystals before placing them in your home or workplace. This way, you will achieve the feng shui results you want. You also should learn in what direction to place the crystals so that they promote positive energy and keep bad luck at bay.